Gord and Kev improvise for a surprisingly entertaining episode. With Christmas right around the corner, I felt compelled to put together a list of my top 10 greatest Christmas gifts from childhood. Feel free to post some of your own favorites from over the years. 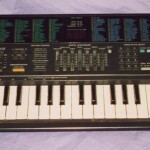 Circa October 1991, I was wandering around Child World looking at the different keyboards. This was one of those gifts that I never asked for and totally didn’t anticipate. I saw the prices and didn’t want to request one because I had decided a hundred bucks or so was too much for one gift. Seeing this in the early morning on December 25 was a super surprise. I even taught myself how to read and play music for a little while, but I got tired of it after a couple months. That was the end of my musical career. This was enormous. I have no idea what the price was, but it had to be a lot. 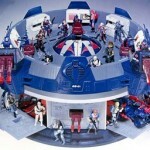 There were so many awesome secret compartments in this sucker, even a jail for the captured Joes. It came with a ship too. I remember it launched out of the top. Look this thing up on-line somewhere to see pictures, it’s awesome. 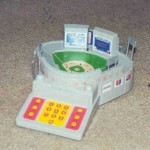 Big bases / playsets were a rarity– but one out of like 10 friends would have one, and I’d always be in awe. There are two presents that stick out in my mind from that year. One was “The Simpsons Sing the Blues,” which virtually every Simpsons fan got at the time. It was pretty crappy. 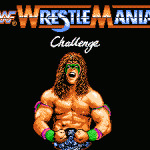 WrestleMania Challenge, however, was the brand new game for Nintendo. I don’t know how my brother got a hold of this one though because KB & TRU were both sold out when I went looking for them. This was also the first time I was introduced to the multiple box, multiple wrapping paper gag. The game was small, but it was inside several boxes and wrappings so that it was impossible to predict what it would be by looking at it. For 1990, this state-of-the-art game had awesome graphics. Just check out that opening screen of The Ultimate Warrior. 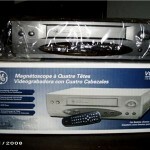 Up until this point, we had one VCR. That VCR resided in the living room. The only problem was that I had a gazillion video tapes and always wished I could watch them whenever I wanted. My desire to go to sleep at night with a movie of my choice playing on the tv was finally realized– and it’s something I often still do (only now it’s with DVDs). Being able to play and record from my bedroom was a huge deal. 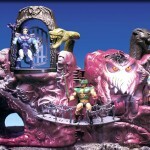 In the same vein as the Cobra playset, this was Skeletor’s headquarters. This precedes the Terrordome by a couple years, and it’s thus more memorable. The most significant aspect of Snake Mountain was that it had a microphone and voice changer. You would speak into it, and it came out of the speaker sounding far more evil that you actually spoke it. LJN Wrestling Figures were the absolute greatest toys out there. My collection of everybody from Hulk Hogan to Ted Arcidi was my most prized possession (much like my toys still are today). 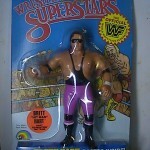 However, the newly released Bret Hart & Jim Neidhart were impossible to find at Toys R Us or Kay-Bee. The only place that I ever saw them was in a little local shop called “Colony.” Naturally, Colony had them priced at double what TRU sold LJNs for. My parents refused to buy these extra expensive superstars, and I accepted that they would never be part of my league. Miraculously, my brother snatched them up in spite of the price. I was shocked when I pulled back the wrapping paper to see these guys on Christmas morning. The 1990 baseball season was several months away, but Topps was already producing cards for the upcoming year. I was blown away with a FULL box of packs to open on Christmas morning to get me started on building my own hand-made set. My all-time favorite G.I. Joe character. Known as the master of disguise, Zartan came with a mask, and his body changed colors (he became blue) when exposed to sunlight. “Santa Claus” gave me this one at the Long Beach Rec Center during a Christmas party. 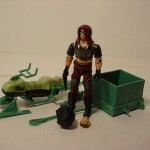 I was fascinated how he knew my name, and knew that I wanted Zartan. SLTB was incredibly close to being number one on my list, but when you get to number one you’ll see why it couldn’t be anything else. At this point, I was a rabid Met fan. Baseball had conquered He-Man, G.I. Joe, and even Wrestling. At 8, I knew virtually every player in the major leagues, their team, position, and at least a little about them. 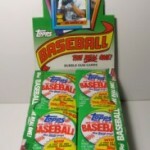 I studied the 792 Topps cards, and played against neighbors and friends in Rotisserie Baseball leagues. During a Thanksgiving trip to Ohio (visiting family), I discovered this game in a store. You could call it love at first sight. A computerized, strategy-based baseball game that came with all-star & hall of fame teams, yet was compatible with add-ons of every major league team. This was several years in the making. 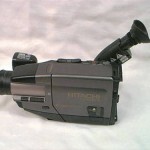 From the time I was about 7 or 8, I desperately wanted a camera so I could make my own movies. Getting that camera was so important that I began saving for it. I would put money aside from my allowance or miscellaneous jobs. In 6th and 7th grade, I started selling baseball cards and card holders that I was buying at card shows for a nice profit. All the money that came in went into my camera fund. Finally, when I was older (13 at this point), I was able to get one. I paid for about half of the camera, I think the total was around $600. 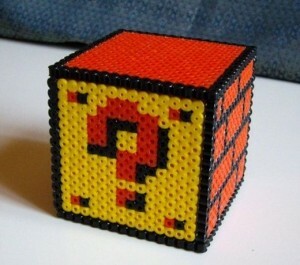 The excitement this thing brought me was unrivaled by any gift ever.